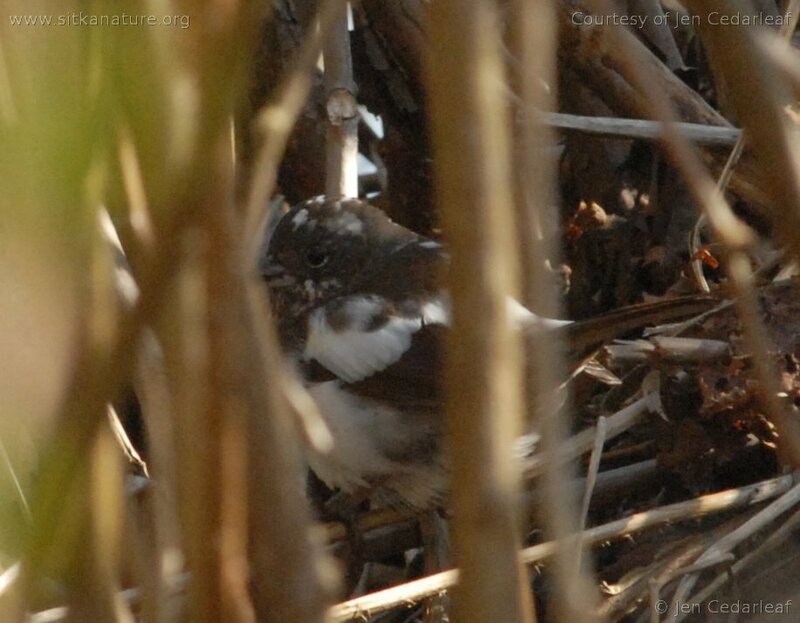 Jen Cedarleaf provided these photos of a Leucistic Fox Sparrow she’s been seeing this week on Alice Island. 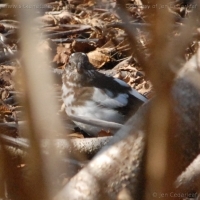 Despite the unusual coloring, I’m pretty confident it’s a Fox Sparrow due to the shape of the head, the lack of any suggestion of stripes on the face, and chevrons rather than stripes on the chest. 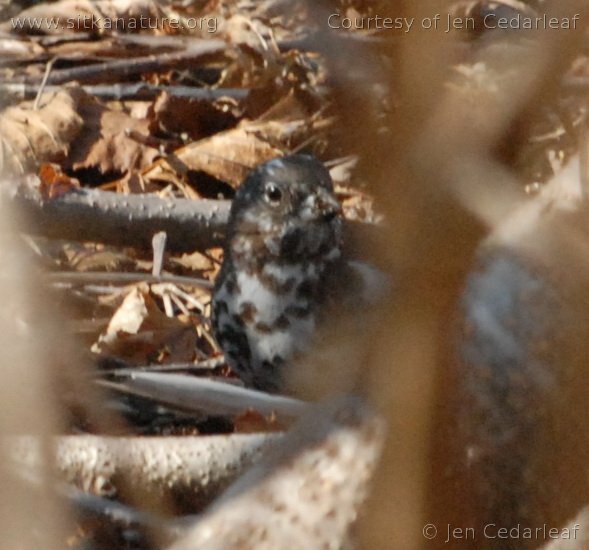 Jen said it behaved more like a Fox Sparrow than a Song Sparrow (the other most likely alternative) as well. 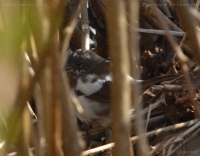 This entry was posted in birds, photo and tagged Alice Island, Fox Sparrow, Passerella iliaca. Bookmark the permalink. Very interesting. I think I have a leucistic fox sparrow on our farm right now. Im on southern Vancouver Island. Have been looking at all my bird books and then did some internet research. Did you take any pictures of the bird you’re seeing? I haven’t seen too many leucistic birds, but I had one junco that I could identify by its extra white. I noticed it coming to my feeders in two different winters 2 or 3 years apart.